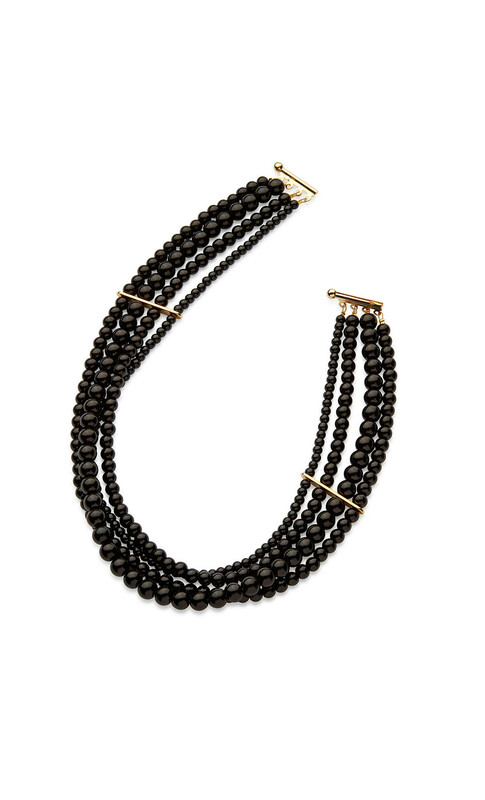 DORIN FRANKFURT offers a masterclass in sophisticated glamour with this striking hand-crafted necklace. 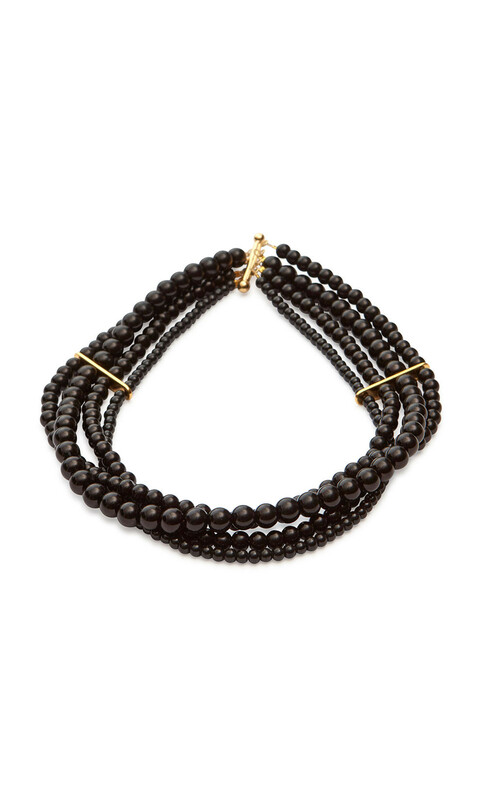 It features a string of glossy black onyx beads intersected with gold plates. Wear it as a stunning finish to round-necked blouses.